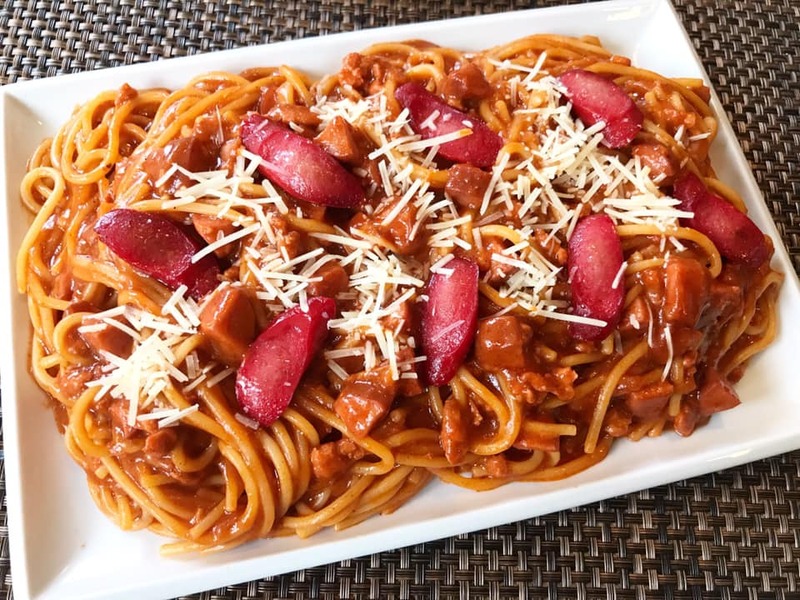 Filipino Spaghetti, also known as Sweet Spaghetti is the Filipino version of Italian spaghetti. 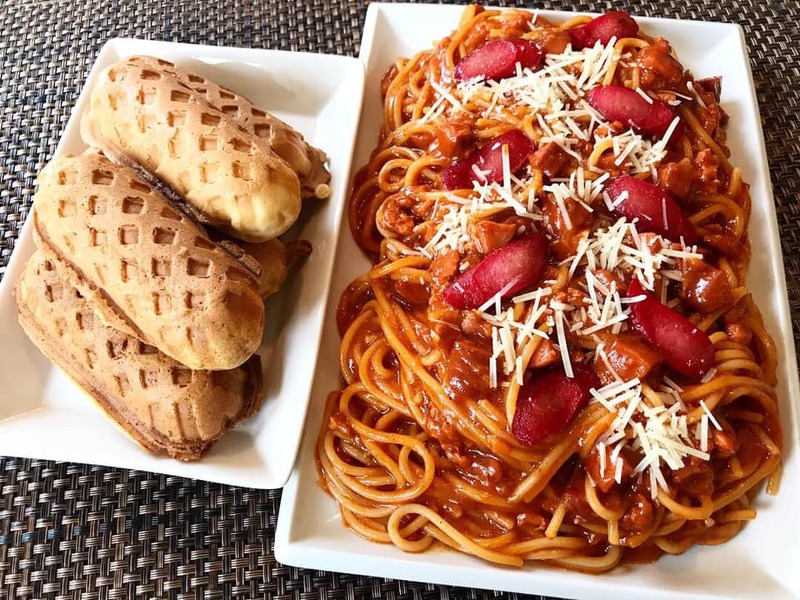 The difference between the Filipino Spaghetti and Italian spaghetti is the use of banana ketchup and hot dogs. 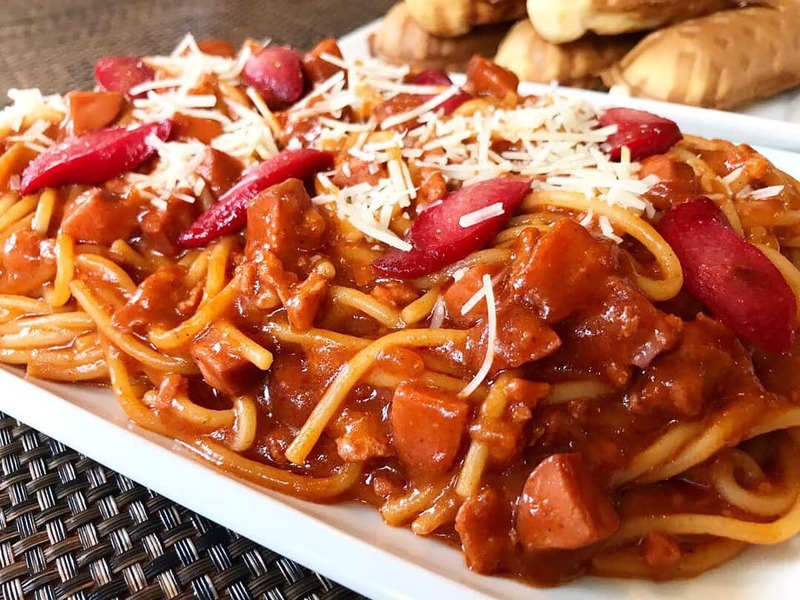 Sweet Spaghetti is a very popular pasta dish and usually served in most Filipino fast food restaurants. This version has a sweet (banana ketchup) sauce with ground pork. Filipino Spaghetti is one of the favorite dishes usually served during special occasion specially during birthday parties and town fiestas. You can say a Filipino birthday party spread is not complete without this Filipino-style Spaghetti. A mix of tart and sweet sauce with slices of hot dogs in a thick banana ketchup and tomato sauce. Although there are many variations of Filipino spaghetti, this sweet, meaty ground pork with hot dog is one of the favorite. This Filipino Spaghetti is one of my kids favorite even they can be so picky. They don't mind having this anytime of the day and they want it with extra sauce and extra cheese. Simple Pork Ribs Sinigang comes second and Lumpia Shanghai next. 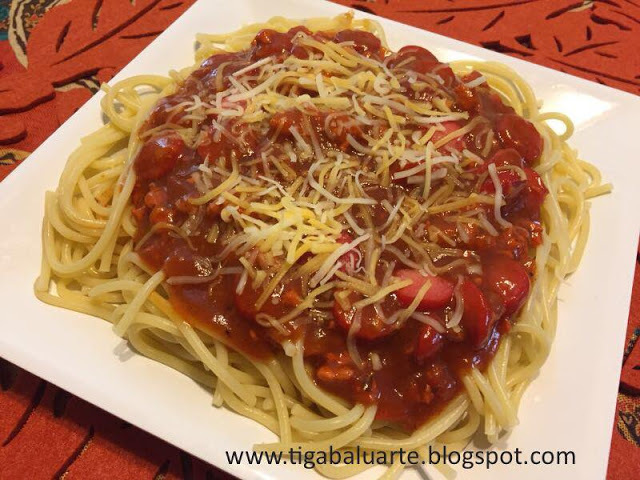 If you are in search for a delicious and creamy Filipino Spaghetti then search no more. This special Filipino Spaghetti is thick and creamy and the (no so) secret is adding evaporated milk. 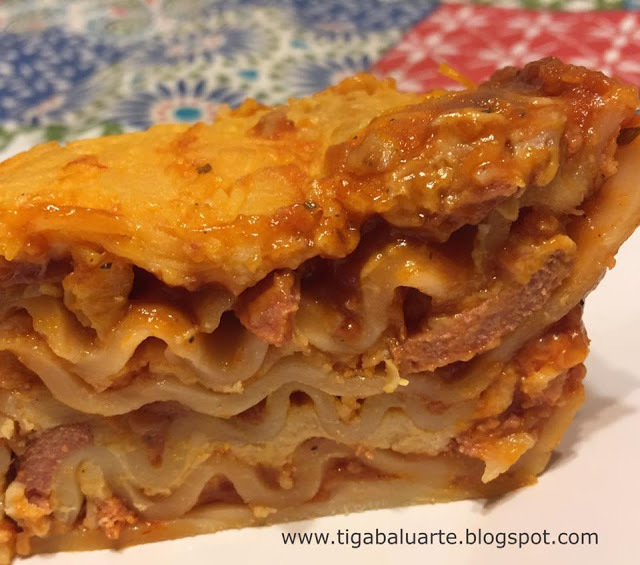 You don't have to wait for a special occasion to make this so give this recipe a try and share with family and friends. Leave me a comment and let me know how they like it. Also, check related recipes below. Boil spaghetti pasta al dente or per package direction. Drain water and set aside. In a big and deep pot over medium heat, add cooking oil. Fry slices of hot dogs until light brown. Remove hot dogs from oil and set aside. Using the same pot, add garlic and onions. Stir and cook for few minutes until aromatic. Add ground pork to the pot and stir. Cook ground pork until golden brown and fully cooked for about 10 minutes. Season with ground pepper and a dash of salt. Stir and cook for a minute. Now pour in banana ketchup and tomato sauce. Stir well to combine and simmer in low heat for about 20 minutes. Stir occasionally to avoid the sauce from sticking to the bottom of the pot. Add evaporated milk and sugar to the pot. Stir well and continue to simmer in low heat for about 10 minutes stirring occasionally. Add fried hot dogs to the pot and stir. Taste to see if more salt and/or sugar is needed. Add accordingly. 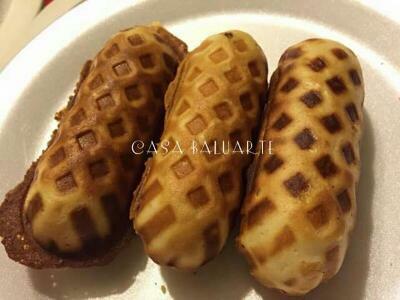 Serve warm with toasted bread or homemade Waffle Hot Dogs and enjoy!